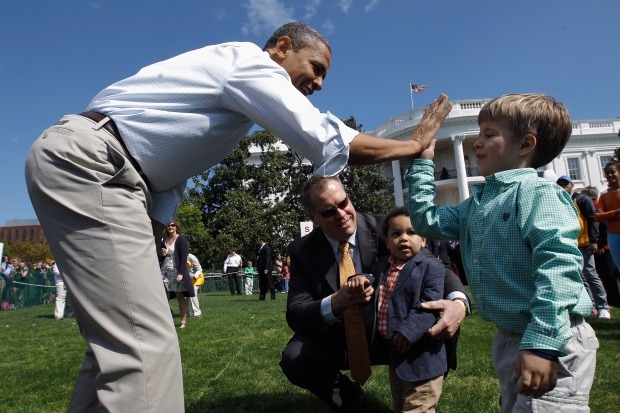 No word on whether Bo will be donning pink bunny ears again this year (that seems like a once-in-a-lifetime thing to us) -- but the lottery for tickets to the White House Easter Egg Roll opens this week. Starting Thursday at 10 a.m., parents can enter the online lottery for the chance to spend Easter Monday at the White House. The lottery will close at 10 a.m. on Feb. 25. You can enter any time during that time period for an equal chance. Winners will be notified March 1. The egg hunt is set for Monday, April 1, the day after Easter. 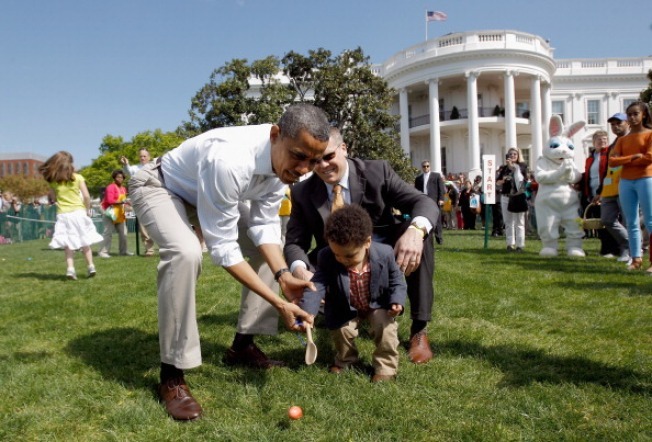 The White House expects some 35,000 people at this year's egg hunt. Other than the egg roll itself, the event also features musical performers, sports activities with star athletes, a story corner and more. Past guests have included J.K. Rowling, Reese Witherspoon, Dominique Dawes, Brian Orakpo, and "Diary of a Wimpy Kid" author Jeff Kinney.